In the last couple of days, thousands of businesses and organisations have made their gender pay gaps public, exposing many of the barriers that millions of women face at work across the country. In response, people have been jumping into action through Organise. 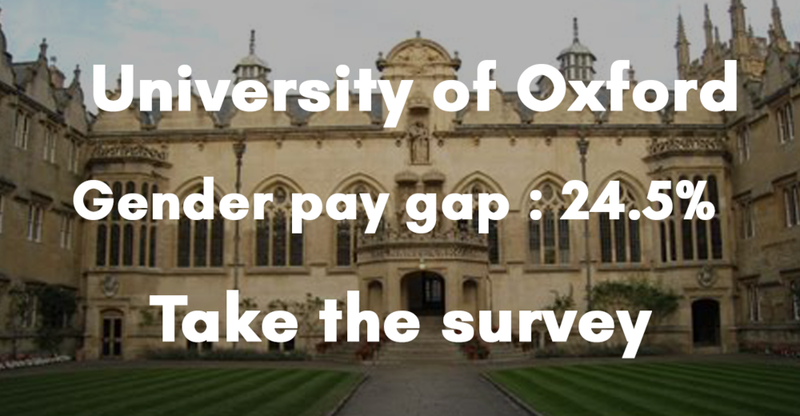 A bunch of surveys have sprung up across sectors and industries - from Nissan to the University of York - aimed at crowdsourcing ideas on the best ways to tackle the gender pay gap at specific workplaces. The survey starters realised that if their bosses were allowed to set the agenda, they could talk a good game without really addressing the problem. That's why the survey starters wanted to set the terms by voting with their colleagues on how they wanted to see the gender pay gap tackled. Survey starters just picked from a shortlist of expert-written solutions to the gender pay gap (courtesy of Ursula at Mumbelievable ), and they were given a readymade survey to share across their workforce. Once enough of their colleagues rank their favourite solutions, they can be given straight to HR, or put on the bosses table, where those in power won't be able to shirk responsibility. Some of surveys are taking off, one that was started yesterday afternoon has already reached 50 survey takers! In this way, employees from across the country affected by the gender pay gap are using a combination of expert advice and people-power to recognise and fix inequality in their workplaces. And if that wasn't good enough, it's completely anonymous!